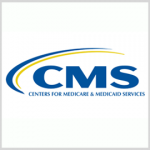 The Centers for Medicare and Medicaid Services has awarded four companies spots on a potential seven-year, $900M contract to help CMS develop, implement and assess national communications campaigns. A FedBizOpps notice posted Tuesday says the National Education Campaign & Outreach program is an indefinite-delivery/indefinite-quantity contract that will run through Aug. 31, 2025. The awardees are Daniel J. Edelman Inc., Ketchum, Porter Novelli Public Services and Weber Shandwick. The NEC contract covers several task orders that include the development of a campaign strategy that seeks to incite behavior change and reach target audiences; production of creative materials that highlight key messages; and coordination of media planning and buying activities. The contractors will also compete to implement data-driven digital advertising efforts through video, mobile, social media and paid search; support organic content development and social media channel management; execute public relations campaigns; assess the effectiveness of national campaigns through the use of quantitative and qualitative measures; and perform data set analysis for direct outreach initiatives.